Princess Carol Hat by Louisa Voisine Millinery. Fast worldwide delivery. Click or call 323-592-9172 for more info. Louisa Voisine: "This stunning creation was inspired by the Royal Ascot Races in the UK. I used the ribbon disc attached to a headband as a canvas for my rendition of Queen Elizabeth’s prized rose gardens." 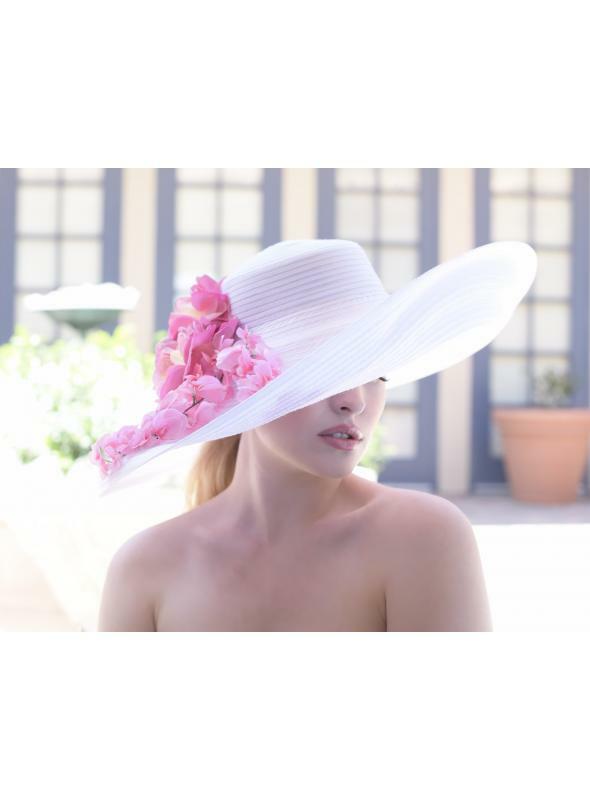 Contrasting colors of white and bright pink make this Princess Carol hat by designer Louisa Voisine Millinery a beautiful choice for summer weddings or classy brunches. 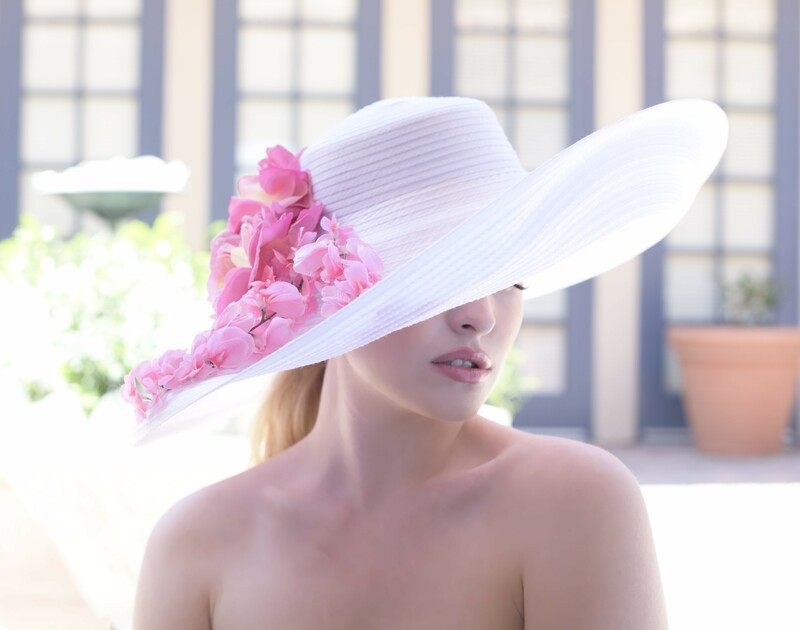 The wide brim sweeps gracefully upward at the front for a look that is unique and flirty. This delightful hat is emboldened by a large bunch of pink flowering sprigs.